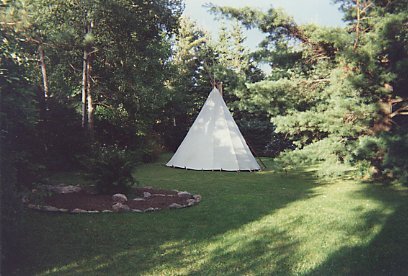 My 2008 book Failsafe: Saving the Earth from Ourselves was dedicated to Trailing Sky Six Feathers, a South West Native American medicine woman from the 18th century. My new book is her story and how her life and mine interconnect in the 21st century through a journey that spans four centuries. The collision of past with present lives creates a radical new compass to guide me through the difficult times we live in. I am grateful to the many hearts and minds that helped me complete this lifework. Trailing Sky Six Feathers illuminates issues that will affect our world for generations to come. This hero’s journey is like Indiana Jones meets the Buddha with a dash of Celestine Prophecy; shining light on the darkest elements of the human condition, including my own. For Autographed Version GO TO: http://www.ianprattis.com/TrailingSky.html Click on ORDER BOOK. Check out Overview, The Author, Chapter Summaries, Chapter Three, Testimonials and Blog. You can also Order Book from Amazon, Barnes & Noble, Xlibris for Hardcover, Softcover and E-Book. The author is a Zen teacher, Poet, Professor Emeritus, Founder of Friends for Peace, Spiritual Warrior for Planetary Care and Social Justice. In this book he navigates past and present life experiences from brutal raids on Indian settlements in 18th century Arizona, insane sea voyages off the Scottish Hebrides in the 20th century to surrender to The Muse in the 21st century. These screenplay epics weave together to create inspiration for a wide range of spiritual seekers, environmentalists, educators, Generation X and Y, feminists, students and academics alike. We are staring into the abyss: climate change, ecosystem and financial collapse, nuclear breakdown, terrorism and anarchy. Instead of being eaten up by the abyss “Awaken Spiritually” for that transforms everything. Our world has become an unpredictable beast. We fail to work with it intelligently. We must take back control of ourselves and this is a spiritual matter. An exciting Hero’s Journey, as we follow his journey to accept The Muse capable of transforming his karma. The story has the author stumbling through the first part of life, then standing strong in his own sovereignty in the latter part. In India, Arizona, France and Canada’s wilderness, he goes to extraordinary lengths to transform four centuries of karma. Readers will travel the pages with Ian as he learns to embrace The Muse – Trailing Sky Six Feathers – his South Western Native American wife and medicine woman in whose arms he died in 1777. Trailing Sky Six Feathers vows to find Ian (then known as Eagle Speaker) in a future time, to help him complete his purpose despite resistance from Ian’s intellectual and logical mind to remember that pledge in this lifetime. Over a period of thirty years, four extraordinary medicine people enhance his process of remembering, while Trailing Sky waits patiently from the distant past. Ian learns how to reconfigure his understanding of time, place, consciousness and even Carl Jung’s psychology, where he chose to listen to the feminine voice of Earth Wisdom rather than to the multitude of competing voices in his deep unconscious. Readers will be inspired as they watch Ian’s intention and strength of purpose transcend the patterns he had carried since childhood. Past life memories finally collide head on with the present, all thanks to the persistence of Trailing Sky Six Feathers, who refused to give up. Karma is reversed and the internal battles are over, as Ian begins to live his life as a Meditation for Gaia. The relentless shadowing of this engaging Muse brings understanding not only to Ian, but to anyone engaged in overcoming the darkness of their past. Trailing Sky Six Feathers caps the author’s long-term fascination with consciousness. 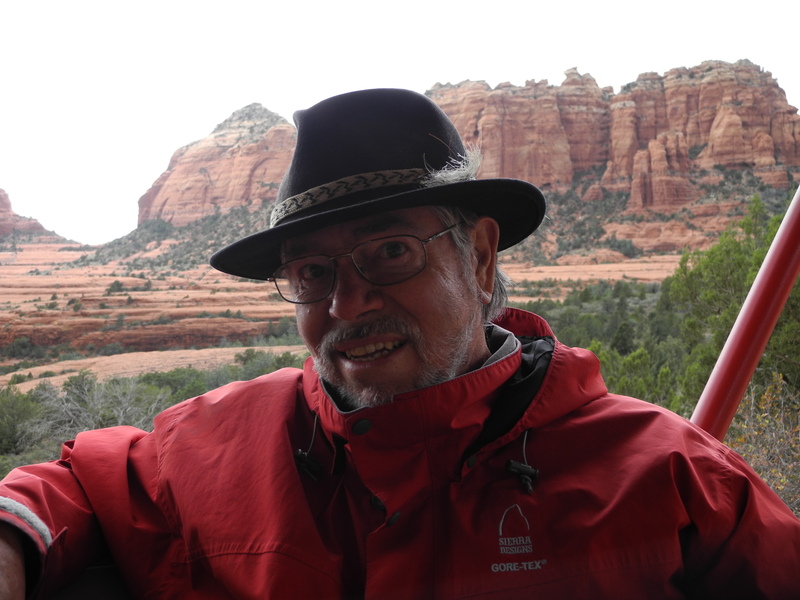 As a Professor of Anthropology and Religion he has taught courses on Ecology, Symbols, Engaged Buddhism and Meditation Systems. He is a healer, mentor and educator, able to encourage people through example to find their true nature so that humanity and the world may be renewed. Ian’s story is offered as a gift to our planet, as his purpose in life is to share his wealth of experience on how to live in harmony not just with ourselves but with the place we call home… earth. “Put down your weapons, my husband,” she said quietly with steely insistence. This statement reflects the wisdom of the Spiritual People of the Earth, of North and South America, working in unity to restore peace, harmony and balance for our collective future and for all living beings. This statement is written in black and white with a foreign language that is not our own and does not convey the full depth of our concerns. The Creator created the People of the Earth into the Land at the beginning of Creation and gave us a way of life. This way of life has been passed down generation-to-generation since the beginning. We have not honored this way of life through our own actions and we must live these original instructions in order to restore universal balance and harmony. We are a part of Creation; thus, if we break the Laws of Creation, we destroy ourselves. We, the Original Caretakers of Mother Earth, have no choice but to follow and uphold the Original Instructions, which sustains the continuity of Life. We recognize our umbilical connection to Mother Earth and understand that she is the source of life, not a resource to be exploited. We speak on behalf of all Creation today, to communicate an urgent message that man has gone too far, placing us in the state of survival. We warned that one day you would not be able to control what you have created. That day is here. Not heeding warnings from both Nature and the People of the Earth keeps us on the path of self-destruction. This self-destructive path has led to the Fukushima nuclear crisis, Gulf oil spill, tar sands devastation, pipeline failures, impacts of carbon dioxide emissions and the destruction of ground water through hydraulic fracking, just to name a few. In addition, these activities and development continue to cause the deterioration and destruction of sacred places and sacred waters that are vital for Life. The Fukushima nuclear crisis alone is a threat to the future of humanity. Yet, our concern goes far beyond this single threat. Our concern is with the cumulative and compounding devastation that is being wrought by the actions of human beings around the world. It is the combination of resource extraction, genetically modified organisms, moral failures, pollution, introduction of invasive species and much more that are threatening the future of life on Earth. The compounding of bad decisions and their corresponding actions are extremely short-sighted. They do not consider the future generations and they do not respect or honor the Creator’s Natural Law. We strongly urge for the governmental authorities to respond with an open invitation to work and consult with us to solve the world’s problems, without war. We must stop waging war against Mother Earth, and ourselves. We acknowledge that all of these devastating actions originated in human beings who are living without regard for the Earth as the source of life. They have strayed from the Original Instructions by casting aside the Creator’s Natural Law. It is now critical for humanity to acknowledge that we have created a path to self-destruction. We must restore the Original Instructions in our lives to halt this devastation. The sanctity of the Original Instructions has been violated. As a result, the Spiritual People of the Earth were called ceremonially to come together at the home of the Sacred White Buffalo Calf Pipe Bundle. These Spiritual Leaders and those that carry great responsibility for their people from both North and South America came together with the sacred fire for four days at the end of September 2013 to fulfill their sacred responsibilities. During this time it was revealed that the spirit of destruction gained its’ strength by our spiritually disconnected actions. We are all responsible in varying degrees for calling forth this spirit of destruction, thus we are all bound to begin restoring what we have damaged by helping one another recover our sacred responsibility to the Earth. We, the Original Caretakers of Mother Earth, offer our spiritual insight, wisdom and vision to the global community to help guide the actions needed to overcome the current threats to all life. The People of the Earth understand that the Fukushima nuclear crisis continues to threaten the future of all life. We understand the full implications of this crisis even with the suppression of information and the filtering of truth by the corporate owned media and Nation States. We strongly urge the media, corporations and Nation States to acknowledge and convey the true facts that threaten us, so that the international community may work together to resolve this crisis, based on the foundation of Truth. We urge the international community, government of Japan and TEPCO to unify efforts to stabilize and re-mediate the nuclear threat posed at the Fukushima Dai-ichi nuclear power plant. To ensure that the Japanese government and TEPCO are supported with qualified personnel and information, we urge the inclusion of today’s nuclear experts from around the world to collaborate, advise and provide technical assistance to prevent further radioactive contamination or worse, a nuclear explosion that may have apocalyptic consequences. Prophecies have been shared and sacred instructions were given. We, the People of the Earth, were instructed that the original wisdom must be shared again when imbalance and disharmony are upon Mother Earth. In 1994 the sacred white buffalo, the giver of the sacred pipe, returned to the Lakota, Dakota and Nakota people bringing forth the sacred message that the winds of change are here. Since that time many more messengers in the form of white animals have come, telling us to wake up my children. It is time. So listen for the sacred instruction. We urge all Nations and human beings around the world to work with us, the Original Caretakers of Mother Earth, to restore the Original Instructions and uphold the Creator’s Natural Law as a foundation for all decision making, from this point forward. Our collective future as human beings is in our hands, we must address the Fukushima nuclear crisis and all actions that may violate the Creator’s Natural Law. We have reached the crossroads of life and the end of our existence. We will avert this potentially catastrophic nuclear disaster by coming together with good minds and prayer as a global community of all faiths. We are the People of the Earth united under the Creator’s Law with a sacred covenant to protect and a responsibility to extend Life for all future generations. We are expressing deep concern for our shared future and urge everyone to awaken spiritually. We must work in unity to help Mother Earth heal so that she can bring back balance and harmony for all her children. 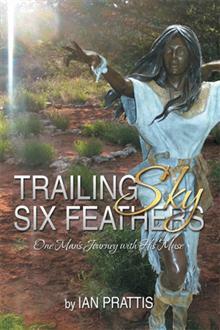 Final stages for Trailing Sky Six Feathers: One Man’s Journey with his Muse. The manuscript is edited – by the professional editing eyes of Lisa Fugard. The platform and Book Proposal is in good shape thanks to Julie Colvin. These two maestros have been so necessary on the journey to completion. Last steps in the 231 years for this work to percolate. To pique your interest – I post some of the testimonials received so far. There is one more to come, hopefully, from a best selling author. Keeping my fingers and toes crossed on that one. 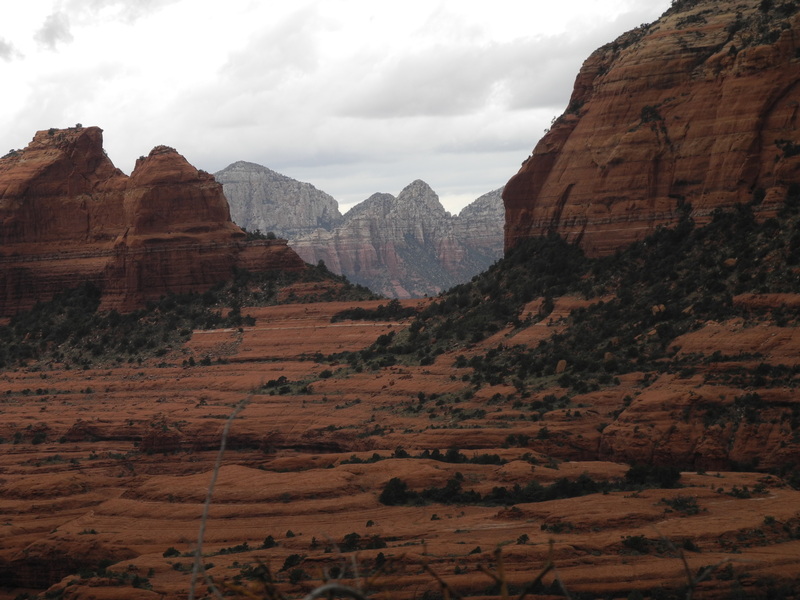 The recent Writers Retreat in Sedona was a marvellous space to do the hard work. And later relax in the Universe’s Cathedral in Red Rock country. “I feel what they feel; I hear what they hear”… as Ian Prattis eloquently captures the inner dialogues of his characters as they face emotional upheavals, unplanned events and brilliant realizations of personal and spiritual power. In Trailing Sky Six Feathers: One Man’s Journey with His Muse you find yourself walking beside each character with each turning page, joining them on their journey until together, we reach the final destination of discovering our true nature and purpose in life. A must read! Dr. Tom Hynoski. Philosopher, Chiropractor, Community Builder. I look forward to the exploits of this time traveler, Eagle Speaker, who lives in the far off mountains of inspiration. Trailing Skys’ final words to her husband chilled my body and warmed my soul. Love is inter-dimensional and Trailing Sky will follow it just as the great migratory flocks follow the unformed path across the sky. Much thanks for sharing this with me. Namaste. Bob Allen. Founding CEO and Chief Story Teller at Ideas Orlando – Independent film studio – off shoot of Disney. 1992 – 2001 VP Disney Production Services Orlando. I am familiar with both Ian’s oral style and his writing as a mentor and Buddhist teacher. But this is a new voice, a very fresh and captivating voice and it offers a narrative that will engage audiences. Ian’s character – for that is really who the teller is here – permits him the objectivity of time and distance and he rewards us with a transparent honesty that makes us part of this journey – which of course we are all on. A thrilling adventure spanning four centuries, Ian Prattis’ Trailing Sky Six Feathers: One Man’s Journey with His Muse renders nothing less than a complete transformation of karma. In addition to weaving a narrative that will captivate readers from the first page to the last, Prattis tells a story of depth and substance, one that, through example, has the potential to activate healing and promote understanding. This is the story of determination, of humanity’s true nature and greatest potential, of how we can live in harmony.